Kathleen Y’Barbo first discovered her love of books when, at the age of four when she stumbled upon a her grandmother’s encyclopedias. Letters became words, and words became stories of far-away places and interesting people. By the time she entered kindergarten, Kathleen had learned to read and found that her love of story could carry her off to places far beyond her small East Texas town. Eventually she hit the road for real, earning a degree in Marketing from Texas A&M before setting off on a path that would take her to such far-flung locales as Jakarta, Tokyo, Bali, Sydney, Hong Kong and Singapore. Finally, though, the road led back to Texas and to writing and publicizing books. Kathleen is a best-selling author of more than novels, novellas, and young adult books. In all, more than half a million copies of her books are currently in print in the US and abroad. 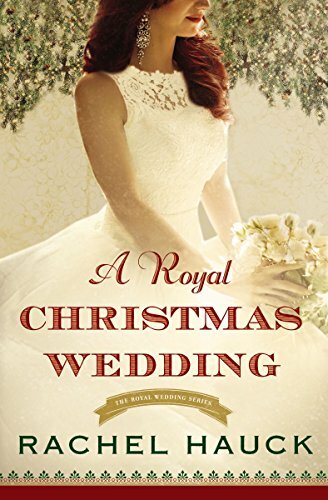 She has been named as a finalist in the American Christian Fiction Writers Book of the Year contest every year since its inception in 2003, often for more than one book. In addition to her skills as an author, Kathleen is also a publicist at Books & Such Literary Agency. She is a member of the Public Relations Society of America, Words for the Journey Christian Writers Guild, and the Authors Guild. She is also a former treasurer of the American Christian Fiction Writers. A native Texan, Kathleen has three grown sons and a teenage daughter. Plug time. What new book or project do you have coming out? 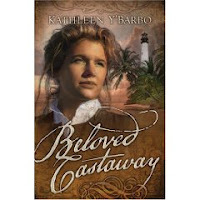 My newest release is Beloved Castaway, a Barbour Publishing trade historical set in New Orleans and the Florida Keys in 1834. I’m currently working on the sequel, Beloved Captive, which will make its debut in the fall of 2008. How did you come up with this story? Was there a specific 'what if' moment? I read the verse in the book of Jude that talks about how sometimes you just have to yank a person out of the fire. That’s where the beginning of the story was for me. I just “saw” this hero who was raised a believer then turned away. From there, the story galloped forward. I love it when that happens! Tell us about your publishing journey. How long had you been writing before you got a contract? How did you find out and what went through your mind? I started writing in 1996 when my daughter entered preschool. I would drop her off at 9:30 and rush home to write without stopping until 2 when it was time to pick her up. I did that every day except Fridays, and in five weeks I completed my first 100.000 word historical romance. The second novel took a bit longer - about 3 months - and the third (part of a trilogy) nearly a year due to the level of research involved. I went on to write a half-dozen novels of that length and acquire a New York agent before the Lord asked me to go in a different direction. I turned down an offer at a major house to send in a proposal for a story in a Barbour novella collection. My first sale, the novella “Saving Grace” came out in Yellow Roses from Barbour Publishing in 2001. To date, I’ve got 34 novels and novellas to my credit and am contracted to complete two more series. When I heard about “Saving Grace,” it was via email from Becky Germany. I was stunned and then thrilled. It took a minute to sink in! Do you ever struggle with writer's block? If so, how do you overcome it? Writers block is best cured by a looming deadline! Thus, I don’t struggle with it, although I have been known to struggle with deadlines. What is the most difficult part of writing for you (or was when you first started on your writing journey), i.e. plot, POV, characterization, etc? Before I downsized, I had a great writing office with red cabbage roses on the wallpaper and a view of the pool and the forest beyond. Now I tend to tote my Mac laptop to the nearest comfortable spot, often the covered back porch of my smaller-but-cozier home. I’m also a publicist for Books & Such Literary Agency, so I do have a dedicated office space and a desktop Mac for my PR work, but it’s hard to write there. Do you have a word or page goal you set for each day? My goal is a chapter a day every weekday, although that doesn’t always happen. Sometimes it’s several chapters a day and other times when PR work or life intervenes, I don’t get any writing done at all. Ultimately, the looming deadline is the goal that dictates the daily and weekly goals. Once I arrive in the office, I check emails and make lists of the things I want to accomplish that day. I always take on the PR work first then switch gears to write later in the day. Evenings are family time, as are weekends. Take us through your process of writing a novel briefly—from conception to revision. Conception can come from anywhere. I’ve been known to write an entire book based on a single sentence I overheard somewhere. Once I get the idea, I put it all down in a computer file, being sure to go into as much detail as I can. All of that, including any research and photographs I find, eventually become a proposal that I run by my agent, Wendy Lawton. Once Wendy pronounces the proposal fit to send, I’ve generally got a good start on writing the book. While I’m waiting for the book to sell, I like to outline the chapters (thank you, Tracie Peterson!!) so that I can write the book much faster when the time comes. I tend to edit as I go, so revisions don’t come in a major way until the copy edit stage. What are some of your favorite books (not written by you)? This is by no means a complete list, but some of the favorites in CBA are: anything by Linda Nichols (although my favorite has got to be At the Scent of Water), Redeeming Love by Francine Rivers, A Slender Thread by Tracie Peterson, Ribbon of Years by Robin Lee Hatcher, Some Wildflower in My Heart by Jamie Langston Turner, and Duty to Die by Janice Thompson. And the Ladies of the Club is an amazing work of fiction that draws me back continually since the first time I read it way back in the 80s. Right now, I’m reading A Tale of Two Cities again. What’s the best writing advice you’ve heard? Think of POV as if you’re holding a movie camera. You can only hear what the microphone hears and you can only see what the lens sees. Translated into writing, our POV character can only see what is visually in front of him or her. What do you wish you’d known early in your career that might have saved you some time and/or frustration in writing? In publishing? The first draft is never perfect! How much marketing do you do? What have you found that particularly works well for you? I’m a publicist, but doing my own marketing is my least favorite part of the writing process. I can tell anyone about great books that other people have written, but it doesn’t come naturally to talk about mine. I do anyway, but I’m so very glad for the publicist my house hired to do the work on Castaway. Never stop learning! If you think you know it all, you’re about to know one more thing: the end of your career. Thanks for a great interview!! Her list of favorite books was so similar to mine it was eerie! Jamie Langston Turner's Some Wildflower in my Heart was awesome!! 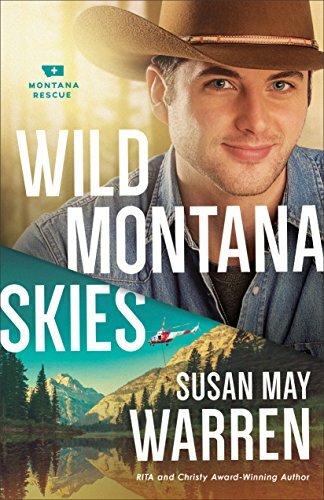 Anyway, this is a new author for me, so I will be looking for her books!! Yahoo!! *gulp* if I could write a chapter a day, I'd consider myself to be Superwoman! I love the opportunities that a laptop affords. I get bored or stuck in one place. I also like to find a comfy place to plop and write.